This post contains affiliate links. For more information, visit my disclaimer page. 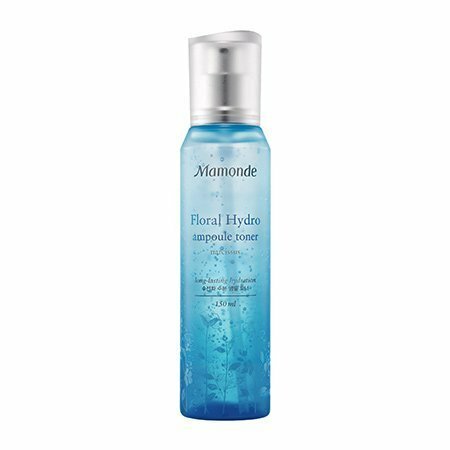 According to Mamonde’s official website, this star ingredient in this line of products is the Narcissus flower, inspired by how it ‘stores hydration in its bulbous plant throughout the long winter before blooming in the early summer, and the hydration circulation ability of polyvoltine Erlicheer, which blooms multiple flowers from one stalk.’ This particular product is also a combination of a toner and an ampoule, as it claims to reap the absorption power of toners and hydration of ampoules. I gotta admit - I’m a sucker for skincare with aesthetic packaging, and Mamonde’s beautiful branding is my weakness. This toner comes in a lovely ombré blue, frosted plastic bottle with delicate florals embossed around the bottom. It has a pump dispenser that doles out the product in controlled proportions, so a couple of pumps of this is usually sufficient to distribute across my entire face. 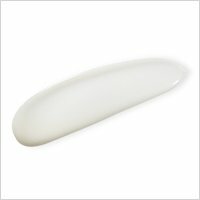 The product itself has an interesting texture - when first dispensed from the pump bottle, it comes out in a clear, aqueous, almost gel-like blob but subsequently turns more watery and disappears as its patted into the skin. I guess this demonstrates the ampoule-toner aspect of the product. The fragrance of this product is subtle enough that I only caught a whiff of it when I was applying it on my face, and it smells pleasantly light and floral. Looking at the ingredient list, the key ingredients in this toner would be the Narcissus Tazetta Bulb Extract, Hyaluronic Acid and, Sodium Hyaluronate, which alludes to its hydrating properties. It does indeed feel like I treated my skin to a refreshing splash of water every time I put this on. It feels like it is soaked up fairly well by my skin as it disappears after patting it in for a bit, though I am unsure if it’s really absorbed or just evaporated due to the presence of alcohol (third on the ingredient list). I noticed that this toner also has some calming properties during those times I applied this when my skin is red and irritated, as it seems to cool and take away some of the redness in my skin. Although I find this pleasant enough to use, I don’t intend to repurchase after finishing this bottle (which seems to last forever) for multiple reasons. Firstly, while this feels light and hydrating enough in the morning, the rate at which this disappears into my skin makes me feel like I need something a little heftier during my evening routine, or when my skin is really dehydrated, and this doesn’t quite cut it. For this, my Hada Labo Gokyujun Premium Lotion (review coming soon!) does a much better job. Secondly, this toner contains both alcohol and fragrance as well. While these 2 ingredients aren’t necessarily ‘bad’ per se, people who are sensitive to them might wanna take note! For myself, I am trying to cut out both alcohol and fragrance out of my routine just in case they are compromising my already-dry and sensitive skin. Also, I would like a toner that I could try out the 7-skin technique with, and doing it with a toner that contains alcohol definitely isn’t recommended as it could be rather drying. Nevertheless, this is still a nice product to have if there is a gap in your routine that you need to fill with a hydrating toner, and if you don’t have a sensitivity to any of the ingredients in this product. Rating: 3/5. This is a decently hydrating toner, but am not likely to repurchase. If you're interested in the product, you can purchase it from Amazon or YesStyle. Similar to the toner, this emulsion also features extracts from the Narcissus flower. Mamonde’s website touts this to have a ‘dual moisture effect through the use of water-soluble and oil soluble moisturizing ingredients’ and that this is supposed to be a hydrating and balancing emulsion. This has an almost identical packaging as the toner in the same line, which I love for the same reasons. The pump dispenses this in a thin, milky emulsion, and I usually use 1-2 pumps of this depending on what I feel my skin needs. It does have similar fragrance notes as the toner, although I find this to be a tad stronger and more cloying, but still tolerable. Ingredient-wise, on top of the Narcissus Tazetta Bulb Extract and Sodium Hyaluronate which are both included in the toner, this emulsion also features the Narcissus Jonquilla Extract. Alcohol, fragrance, fatty acids and fatty alcohols are also contained in this emulsion, just in case anyone is sensitive to these ingredients. I really enjoyed this product and find this to be a really lovely lightweight and hydrating lotion to use in the last step of my morning routine, which is really saying something given that I live in hot and humid Singapore. As and when necessary, I also find this to be a suitable carrier to mix with other products in small amounts such as rosehip, squalene or marula oil, or even my Stratia Liquid Gold for added slip before my final moisturizer step in my evening routine. On its own, this has a lightweight and non-oily consistency that spreads smoothly and dries down to a satin finish, forming an almost indiscernible barrier between my skin and the environment. Best of all, it plays nice with my sunscreen and makeup when I apply them after my skincare steps without any noticeable pilling and lasts me through the day without turning my face into a greaseball. That said, I’m a dry-skinned gal so I’m not too sure how this would fare for oily-skinned folks, but I’m optimistic! This actually comes close to attaining a Holy Grail (HG) status for me if not for the presence of fragrance and alcohol in the ingredients, both of which I’m trying to cut out of my routine as explained earlier. However, I’m willing to overlook this since alcohol is much lower in the list as compared to the toner, and I will most likely repurchase until I find a similarly lightweight but alcohol- and fragrance-free lotion that works just as well for me as a day moisturizer. Rating: 4/5. Would’ve been 5/5 if not for the fragrance and alcohol. If you're interest in the product, you can purchase it from Amazon or YesStyle. Disclaimer: NONE of the products mentioned in this review are sponsored or provided; all of them are purchased at the author’s own cost and reviewed with her own honest opinions. Part-time architect, part-time artist and full-time skincare enthusiast, Aeri was first introduced to the wonderful world of Asian skincare through the Asian Beauty forum on Reddit. Countless hours binging on Youtube videos, reading up articles and geeking out on skincare ingredients later, she has finally made peace with her then-dehydrated and easily-irritated skin. She views skincare as a invaluable form of self-care that is never too late for one to get into, and would now like to help as many people as she can who may be interested in getting a head start into the rabbit hole that is skincare. 32 Amazing Skin Care Blogs That Really Know Their Stuff! Acne No More Review: Getting Rid Of Acne Once & For All!